When extreme weather conditions hit it's usually easy to see why the power is out. It's the other, less obvious reasons like car accidents, high-load trucks, balloons and the animal kingdom that can also cause outages. We understand that having no power is frustrating and inconvenient, but with a little planning you and your family will be well prepared if you do lose power. Get connected – follow us on Facebook and Twitter and bookmark our website on your mobile (it looks like an app, feels like an app, but isn't an app). Keep important numbers and checklists in a familiar place for everyone to see. Keep instructions handy on how to manually override electronic access to your home or garage. Tidy up any loose items around the house that could become airborne during severe weather. Stock up on batteries for portable radios, torches or other equipment. Report tree branches in or around powerlines to us on 13 12 53. If someone in your home is dependent on electric-powered, life-sustaining equipment. Join our Life Support Program, but more importantly have a backup plan. Leave one light turned on so you'll know when the power comes back on. Tune into the local radio station on a battery operated radio or the car radio for power restoration updates. Use torches and LED lanterns. Do not use candles as this increases the risk of fire. Avoid opening the fridge or freezer. Food will last longer if you keep doors closed. Use a portable generator with extreme caution. Always use it in a well-ventilated area and connect appliances directly to the generator. If you have solar panels on the roof these may still be generating electricity even if your lights are out. Stay well away. Have some electricity free fun with your family: board games, hide and seek, shadow puppets and card games. If powerlines are brought down, keep well away, alert others to the danger and call Energex on 13 19 62. If you go outside to inspect for damage, never attempt to touch or move powerlines. Keep children and pets well away. Do not touch anything that powerlines are touching, like tree branches or fences. Always assume the powerline is live. Check refrigerated food for any unusual odours, colours or textures. When in doubt, throw it out. Has the severe weather (storms, high winds, heavy rain) past? We don't send our crews out during severe weather for safety reasons. Did you know? Lightning strikes the highest point. No one should be working around power poles when there is lightning activity. Strong winds are extremely dangerous for our trucks which can reach up to 18m high. Heavy rain and fast moving water can impact access. Emergency jobs prioritised. Reports of powerlines down and electric shocks and tingles are the priority, providing we can access the area. Critical infrastructure restored next. Facilities such as hospitals, water and sewage pumping stations will be restored first, followed by key transport facilities and corridors (arterial roadways, bus networks and train lines). High voltage transmission and sub-transmission 'backbone' power lines which supply towns and suburbs and low voltage distribution powerlines and cables which spread power through suburbs are then identified. Individual properties are reconnected once these are done. Did you know? If power has been restored to your neighbourhood and your home is still without power, there may be an isolated fault at your property. Call us on 13 62 62. Can we get access to affected areas? Swollen rivers, washed out roads, landslides and heavily-vegetated areas can hamper access, particularly in remote areas. Powerline repairs may take longer as crews may need to rely on other services (tree trimmers, road clearing crews) before they can start restoration efforts. Did you know? During the 2011 floods some areas were many metres under water. It took several days for the water to recede. It was only then that we could access the area to assess the damage and begin to restore power where we could. Localised flooding can have a major impact on underground power supplies. Around one third of our network is underground. Complexity of job. Our crews don't know how long a job will take to repair until they get onsite and assess the damage. Did you know? During Cyclone Oswald, there were more than 5000 powerlines brought down, 80kms of cables and wires had to be replaced and 100 poles were snapped by floods or trees. Help share our power outage safety messages with family and friends. We're using the world of video animation to communicate our safety messages in social media, a first for Energex. The aim is to visually transform these messages in an interesting, easy to consume and different way. We want our Facebook and Twitter followers to share the animations with family and friends. The animations can also be viewed and shared from our YouTube channel. If you experience a power outage at home stay safe and use battery-powered lighting instead of candles. Candles, especially when unattended, can easily be knocked over setting fire to nearby items. So stay safe and make sure you have a few torches with fresh batteries around this summer. The animation is about storm safety and if you lose power to your home stay safe and use battery-powered lighting instead of candles. Keep your cool and food even colder if storms affect the power to your home this summer. The best way to keep your food cold and fit for consumption is to minimise the number of times you open your fridge and freezer until power is restored. We recommend if your power has been off for an extended period to check the Queensland Health website for tips on food safety during emergency situations. Always remember the golden rule if you have concerns about food freshness: If in doubt, throw it out. 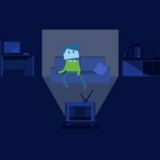 The animation is about how to keep your cool and food even colder if storms affect power supply to your home this summer. As the mercury in Queensland increases so too will the chances of large storms and other wild weather. We are urging people to hit the pool or go somewhere cool if storms take out the power this summer. Instead of sweating, go for a swim. Instead of getting muggy, see a movie. Or instead of steaming, head to an air-conditioned shopping centre. The animation is about if the mercury in Queensland increased we urge people to hit the pool or go somewhere cool if storms take out power this summer. For many of us camping brings back some our best childhood memories because it's when our families had the most fun without the mod cons. So if storms or other weather events cut power to your homes this summer drag out the board games, a deck of cards or get the kids back outside into the yard. Use the time our crews are away from their families restoring power to rediscover yours. The animation is about if storms or other weather events cut power to your homes this summer drag out the board games, a deck of cards or get the kids back outside into the yard. If severe weather or any other unexpected incident causes a power outage at your place this summer remember to switch off your appliances and switch on a light. By switching off your appliances – particularly the stove top and oven – you're ensuring if you go out or fall asleep they won't come back to life while unattended when power's restored. By leaving one light on you'll know exactly when the power is back without that stereo blasting away in the middle of the night. The animation is about if severe weather or any other unexpected incident affects power supply to your place this summer remember switch off your appliances and switch on a light. Just because storms can cut power to homes and businesses this summer it doesn't mean you have to go without restoration information. We urge you to have a battery operated radio on hand to ensure you can tune in to your favourite station and get the latest power information. During severe weather events follow us on Facebook and Twitter for up-to-date information on power outages. Also, don't forget energex.com.au to find out what's happening with the power supply in your area. The animation is about if severe weather hits we urge you to have a battery operated radio on hand to ensure you can tune in to your favourite station and get the latest power information.